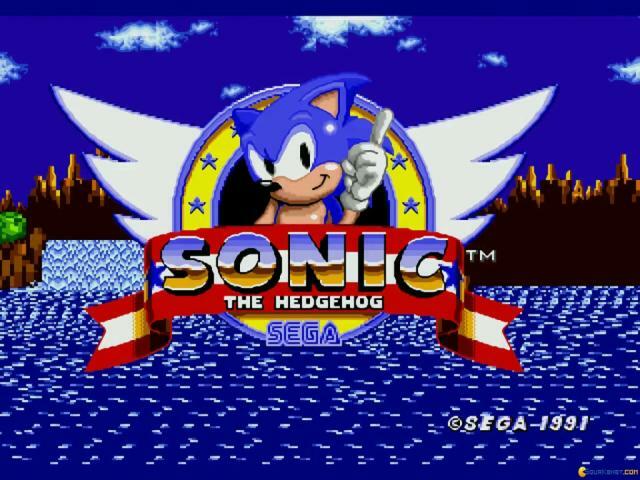 Sonic puts you in the shoes of the fastest and most sleek hedgehog you'll ever get to play in the shoes of. 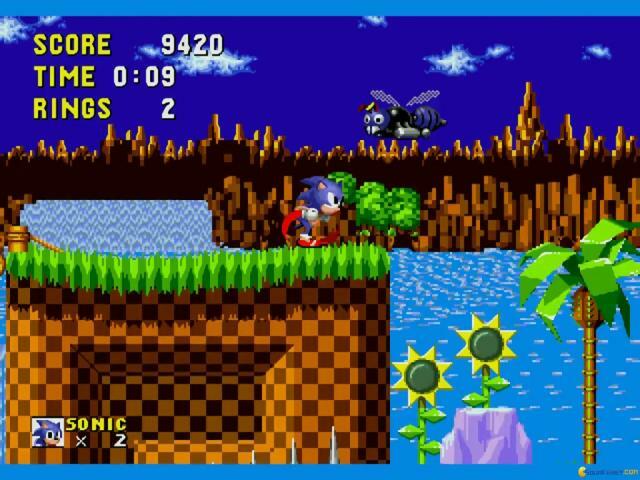 The original game was released for the Sega console, but this port is almost a 100 percent scale the same thing. 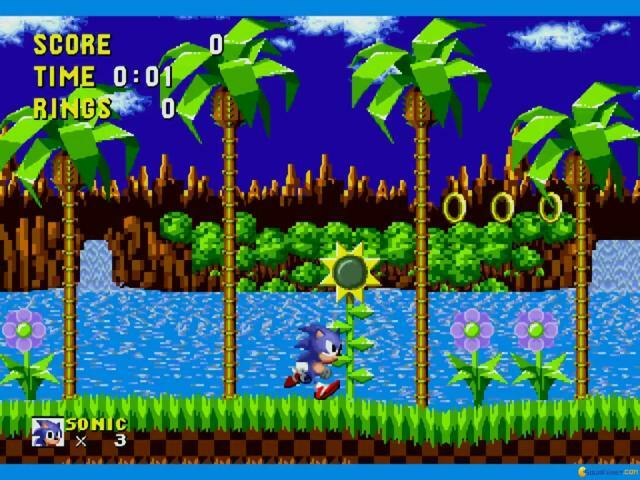 Graphically, the game is a well produced 8bit looking game. 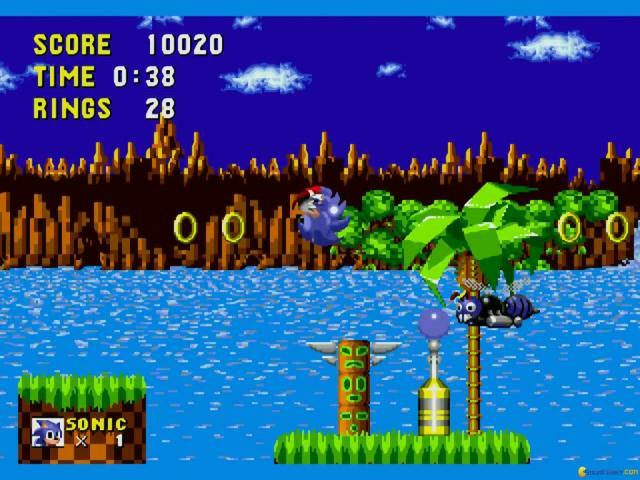 It sports simple, tile based graphics, but the tile arrangements are a far cry from the mathematical and almost lacking any style of older DOS platformers. 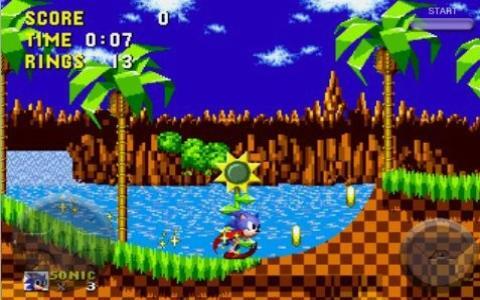 Thus, you will feel as if you are playing a true arcade game that managed to put more in front of your screen, more detail, more tiles, and far more dynamic and sprawling vistas. 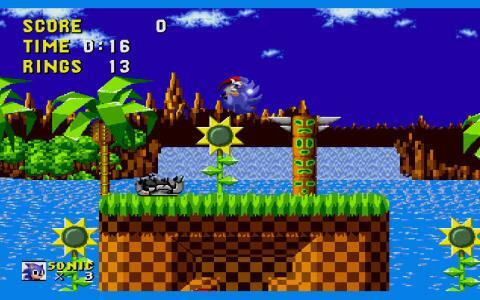 At any rate, it is not as much in the graphics that the game excels: it is the combination of level design with the abilities of the character. 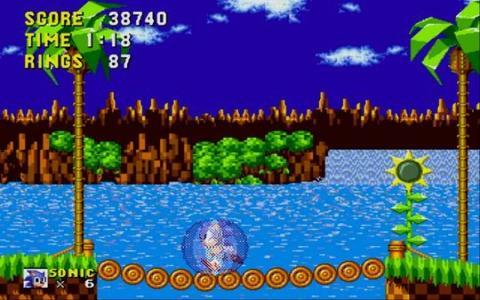 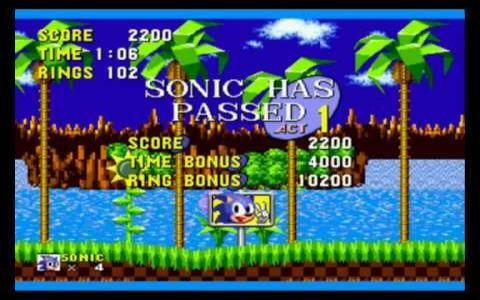 Sonic is a run and dash expect, capable of finishing a level in a fraction of the time a character like Mario would. 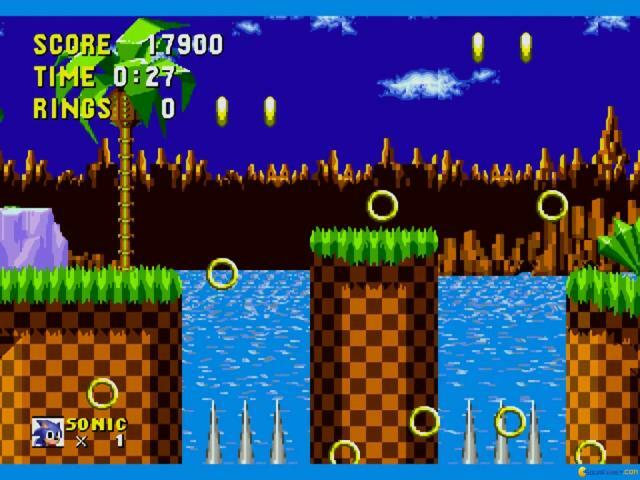 The levels are going to ask of you to play fast and to engage in twitch reflex movements and reactions, because this is what the game wants you to do. 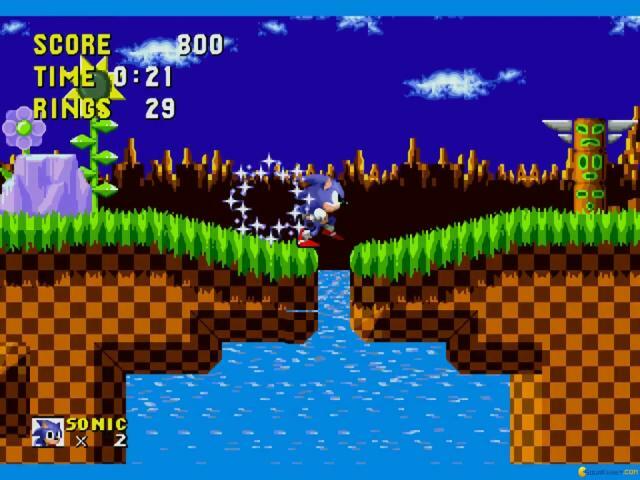 You will most of the time be under the clock to maybe find a better route while at the same time passing through as many hoops as possible. 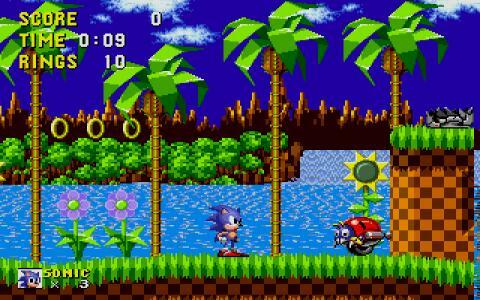 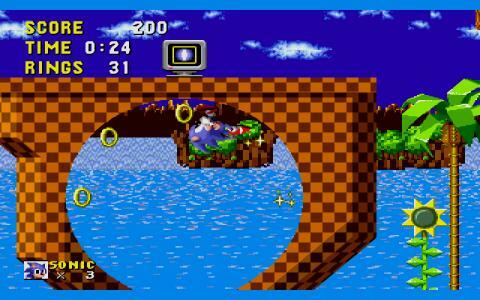 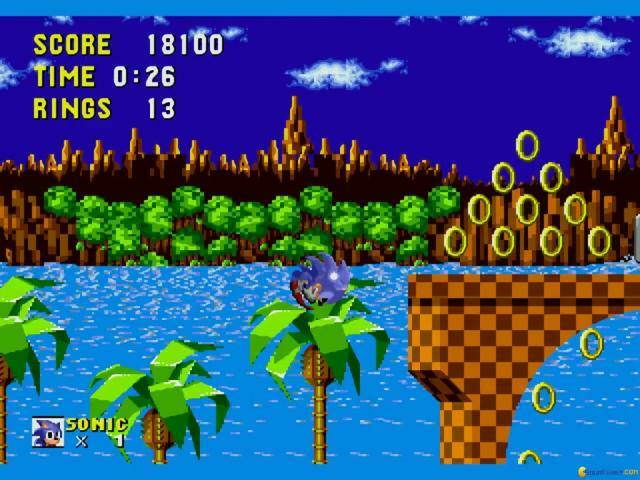 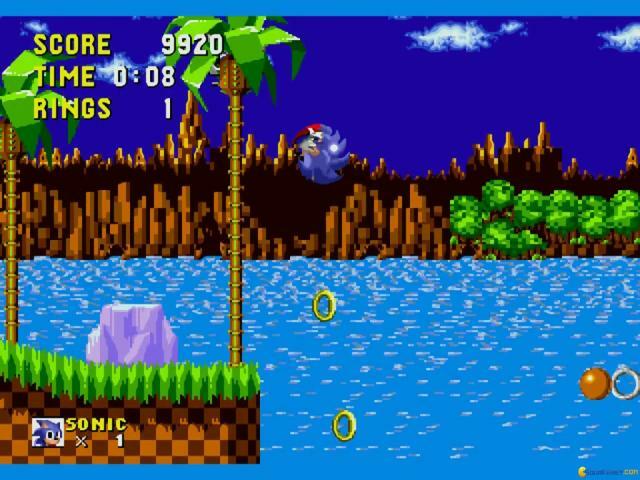 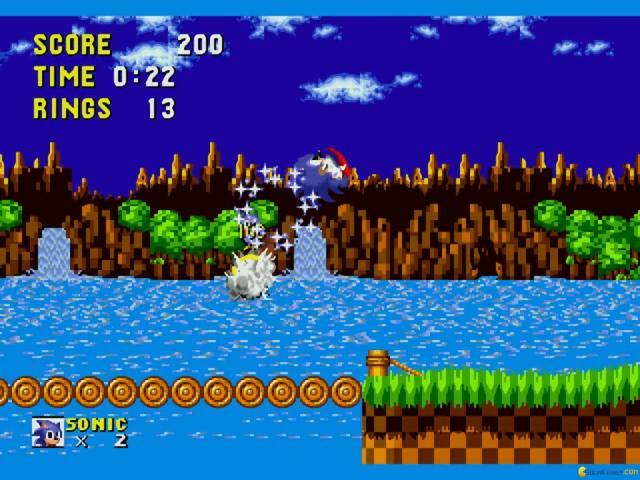 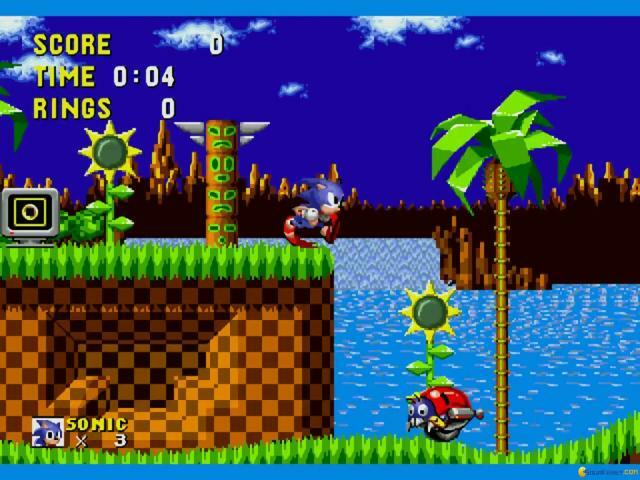 Yap, Sonic the Hedgehog revolutionized the left to right platformer genre and it did so in style from the very first game in the series. 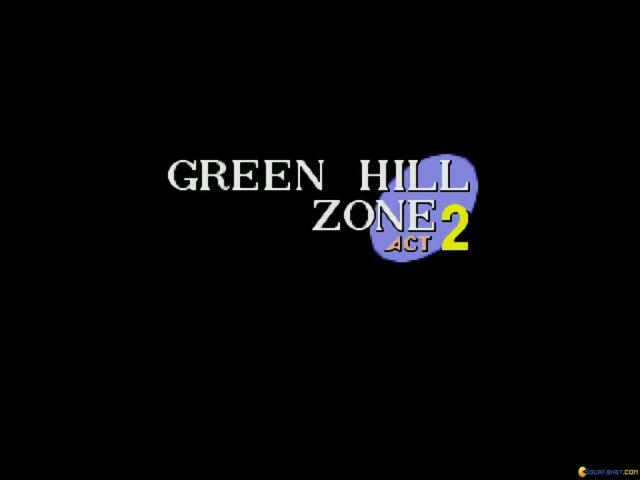 Give it a go; it is sure worth a visit/revisit.